The Plants Vs Zombies slot machine is one of the best online slots in recent years, offering a rich array of features, a progressive jackpot and entertaining reel based gaming. You certainly don’t need to be a fan of the popular tablet game to enjoy the Plants Vs Zombies slot machine. Using twenty winlines and five reels, Plants Vs Zombies uses enjoyable graphics and entertaining sound effects to keep you entertained as you wait for the reel wins to roll in and the random features to award large prizes. Landing three bonus symbols on reels one, three and five awards one of the many features, each of which has the potential to pay the very large progressive jackpot (at the time of writing, Betfair’ Plants Vs Zombies progressive was on £280,000). The progressive jackpot can be awarded on any stake, although your odds improve the higher value you play at. 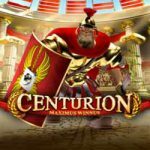 As well as the reel based bonus games, there are a variety of random bonuses which can be awarded at the start of any spin. Crazy Dave will announce what is to come; this could be one of three types of wild or a bad joke (basically nothing). By far the best wild is the Gargantuar zombie who smashes entire reels wild. He can bash between two and four reels wild which often results in massive cash prizes. The Plants Vs Zombies slot machine is very similar to Worms and Wish Upon a Jackpot although Plants Vs Zombies hasn’t made the transition from online casinos to arcade or bookie terminals, which is rather surprising considering how enjoyable and popular it is in the online casino market space. The choice of stakes and the fact that the progressive can be won on any of those stakes makes for a highly enjoyable online slot that will appeal to players on most budgets. You can play the Plants Vs Zombies slot machine online at Betfair Casino, or try from one of the featured casinos to enjoy more great slot games. As the Plants Vs Zombies slot machine is only available to play online, it doesn’t offer the same bonus respin that you may expect from a similar arcade or bookie slot machine such as Genie Jackpots, however there is a progressive jackpot, and although the odds of hitting the jackpot are slim, the odds improve the higher your stake. The progressive jackpot often reaches a value above £200,000 at Betfair and is most commonly won by people playing £10 or more per spin. That is obviously out of range for a lot of slot machine players, but it is worth bearing in mind when it comes to playing online slots. Very similar to Worms but with a large progressive jackpot available online. Big progressive jackpot to win.